1. Patent product, initiated by us in China. 2. Cylinder is full round. 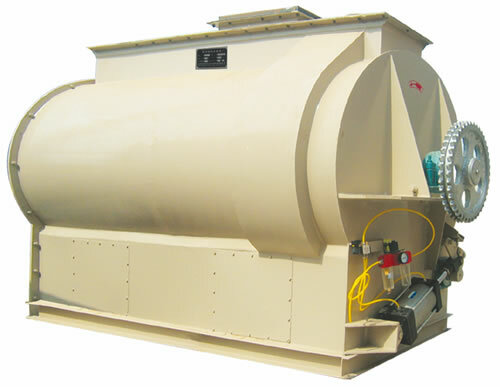 Compared to U type chamber, no dead angle in mixing, no accumulated cake on wall of cylinder. 3. The equality degree CV≤7%. Mixing time is 2-3 minutes. 4. Big open door discharge. Low residue in machine. 5. Widely applied in feedstuff mill, pre-mixing or chemical, food, flour mills.